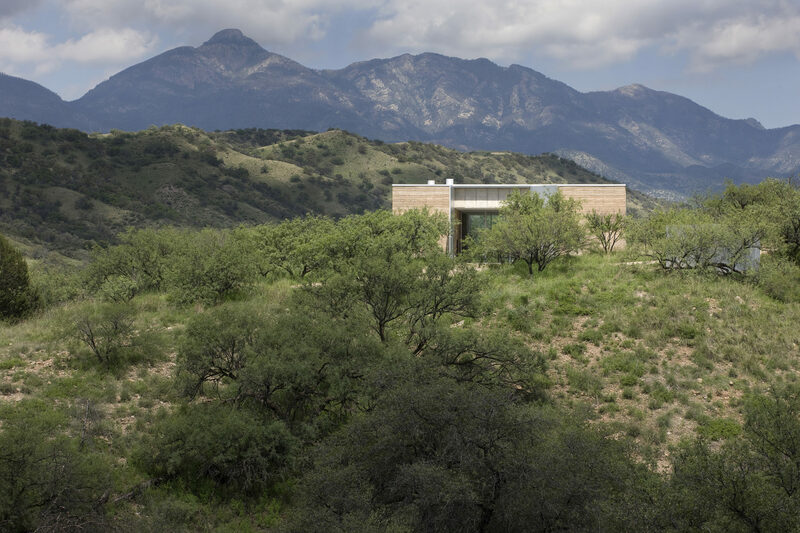 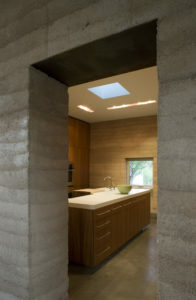 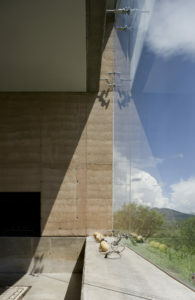 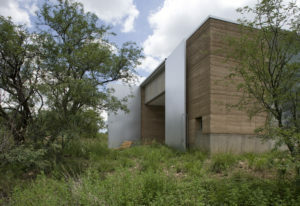 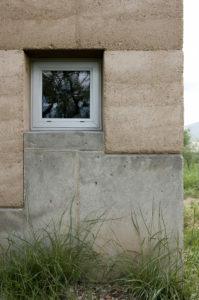 Anchored to the ground by four solid corners of rammed earth, this house balances privacy and connection. 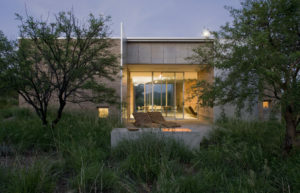 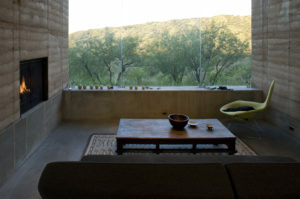 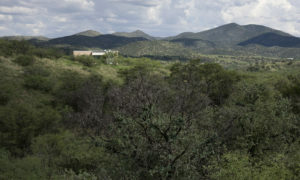 The warmth of the rammed earth and the surrounding rolling hills meets the sharp edges of the steel and glass that define the open spaces of the plan, linking the landscape to the serenity inside. 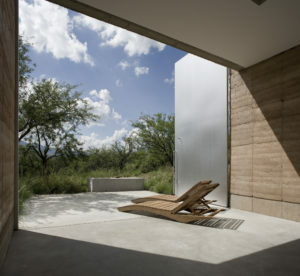 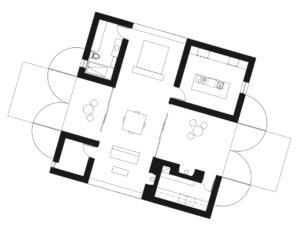 In its figural simplicity and textural nuance, the house exudes quiet luxury and the spirit of an ancient ruin.